1. Fortify Alchemy Enchantment2. Helmet, gloves/bracers, two rings, and a necklace3. Five Grand Soul Gems filled with Grand Souls. Grand Souls can be taken from Mammoths or bought.4. The ingredients for Fortify Restoration potions: Abecean Longfins, Cyrodilic Spadetails, and Salt Piles. The fish can be obtained easily by swimming around Goldenglow Estate near Riften. Collect as many of these as you can, at least ten to fifteen of each ingredient.5. Ingredients for a Fortify Enchanting potion: Snowberries, Spriggan Sap, Hagraven Claw, and Blue Butterfly Wing. A Game At Dinner, Volume 1: In New Gnisis Cornerclub in Windhelm.A Game At Dinner, Volume 2: In Honningbrew Brewery.Herbalist's Guide To Skyrim: In Arcadia's Cauldron in Whiterun.De Rerum Dirennis: In Winterhold Alchemy Lab.Herbalit's Guide To Skyrim: In the Hag's Cure in Makarth.Mannimarco King Of Worms, Volume 1: On the corpse in Evergreen Grove.Mannimarco King Of Worms, Volume 2: In the Alchemy Lab in Nightcaller Temple.Song Of The Alchemists, Volume 1: In Bards' College during Solitude.Song Of The Alchemists, Volume 2: In Anise's Cabin. Breathing Water, Volume 1: In Kraldar's House in Winterhold.Breathing Water, Volume 2: In Withing Ilinalta's Deep.Daughter Of The Niben, Volume 1: In Brandy-Mug Farmstead.Daughter Of The Niben, Volume 2: In the room next to the Jarl Of Understone in Markath.Reality And Other Flasehoods, Volume 1: In the throne room of Yngvild.Reality And Other Flasehoods, Volume 2: In the Red Eagle Ascent.Sithis, Volume 1: On Krag's corpse in Nchuand-Zel.Sithis, Volume 2: In The Dark Brotherhood Sanctuary.The Lunar Lorkhan, Volume 1: In the Mazaka's quarters at the Lighthouse Of Solitude.The Lunar Lorkhan, Volume 2: In the central chamber of the Arcane Enchanter of Cragwallow Slope. Father Of The Niben, Volume 1: In Brinehammer Shipwreck Hold.Father Of The Niben, Volume 2: In Autumnshade Clearing, northwest of Riften, on a dead hunter.The Black Arrow Part II, Volume 1: In Drunken Huntsman Tavern in Whiterun.The Black Arrow Part II, Volume 2: In Valtheim Towers.The Gold Ribbon Of Merit, Volume 1: In Fletcher's shop in Solitude.The Gold Ribbon Of Merit, Volume 2: In Angi's Camp.The Marksmanship Lesson, Volume 1: In the map room in Dawnstar Sanctuary.The Marksmanship Lesson, Volume 2: In Gilfre's house at Mixwater.Vernaccus And Bourlor, Volume 1: In the Smithshop at Knifepoint Ridge.Vernaccus And Bourlor, Volume 2: In Froki's Shack. A Dance In Fire, Volume 1: In the library in Fort Snowhawk.A Dance In Fire, Volume 2: In the ruined hostel at Traitors' Post.Battle Of Red Mountain, Volume 1: In Watch Pass at Skybound.Battle Of Red Mountain, Volume 2: In Destroyed Caravan at Tolvald's Crossing.Death Blow Of Abernit, Volume 1: In the Hall Of The Dead at Whiterun.Death Blow Of Abernit, Volume 2: In the war room in Falkreath.The Mirror, Volume 1: On a sleeping mat on a redoubt of the Broken Tower.The Mirror, Volume 2: In Ulfric's bedroom in Windhelm Castle.Warrior, Volume 1: In the Boss arena in the Driftshade Refuge.Warrior, Volume 2: In the Captain's quarters in Fort Kostov. Frostfall Part I, Volume 10: In the last room of the Word Wall in Sunderstone Gorge.Frostfall Part II, Volume 10: In Belyn Hlaalu's house in Windhelm.Hearth Fire Part I, Volume 9: In the last room in Rimerock Burrow.Hearth Fire Part II, Volume 9: Near the Mortar and Pestle shop in Dawnstar.Liminal Bridges, Volume 1: In north entrance of Shalidar's Maze.Liminal Bridges, Volume 2: At the top of Falkreath Watchtower.The Doors Of Oblivion, Volume 1: In Reachcliff Cave.The Doors Of Oblivion, Volume 2: In Fellglow Keep.The Warrior's Charge, Volume 1: In the sacrificial chamber of the Arcane Enchanter at Brittleshin Pass.The Warrior's Charge, Volume 2: In the Jarl's bed chamber in Markarth. A Hypothetical Treachery, Volume 1: In the central chamber of High Gate Ruins.A Hypothetical Treachery, Volume 2: In the Aretino residence in Windhelm.Art Of War Magic, Volume 1: In Ravenscar Hollow.Art Of War Magic, Volume 2: In White Hall at Dawnstar.Horrors Of Castle Xyr, Volume 1: In the alchemy lab in Rannveig's Fast.Horrors Of Castle Xyr, Volume 2: In Glenmoril Coven.Response To Bero's Speech, Volume 1: In Haemar's Cavern.Response To Bero's Speech, Volume 2: In Iron Breaker Mine in Dawnstar.The Mystery Of Princess Talara Part I, Volume 3: : In Winterhold.The Mystery Of Princess Talara Part II, Volume 3: : In the Upper Zone of Steepfall Burrow. A Tragedy In Black, Volume 1: In Glenmoril Coven.A Tragedy In Black, Volume 2: In Ilinalta's Deep.Catalog Of Armor Enchantments, Volume 1: In Falion's house in Morthal.Catalog Of Armor Enchantments, Volume 2: In Steamscorch Mine in Kynsegrove.Catalog Of Weapon Enchantments: In White Hall at Dawnstar.Enchanter's Primer, Volume 1: In Valentina's house in Whiterun.Enchanter's Primer, Volume 2: In Hob's Fall Cave.Twin Secrets, Volume 1: At the top of the Arcane Enchanter in Hagraven, at Serpent's Bluff.Twin Secrets, Volume 2: In Treva's Watch. Hallgerd's Tale, Volume 1: East of Ivarstead, northwest of Riften, on top of the tower on a table, guarded by Orc hunters.Hallgerd's Tale, Volume 2: In Jorrvaskr Hall at Whiterun.MidYear Part I, Volume 6: Outside the alchemy lab in Fort Dunstead prison.MidYear Part II, Volume 6: In a guardhouse in Morthal.Chimarvamidium, Volume 1: On a desk in Calcelmo's Tower in Malkorth.Chimarvamidium, Volume 2: In Darkwater Crossing.Orsinium And The Orcs, Volume 1: In Stonehills.Orsinium And The Orcs, Volume 2: In Dushnikh Yal.The Knights Of The Nine, Volume 1: In the dining area in Windhelm.The Knights Of The Nine, Volume 2: In the Hall Of The Vigilant. 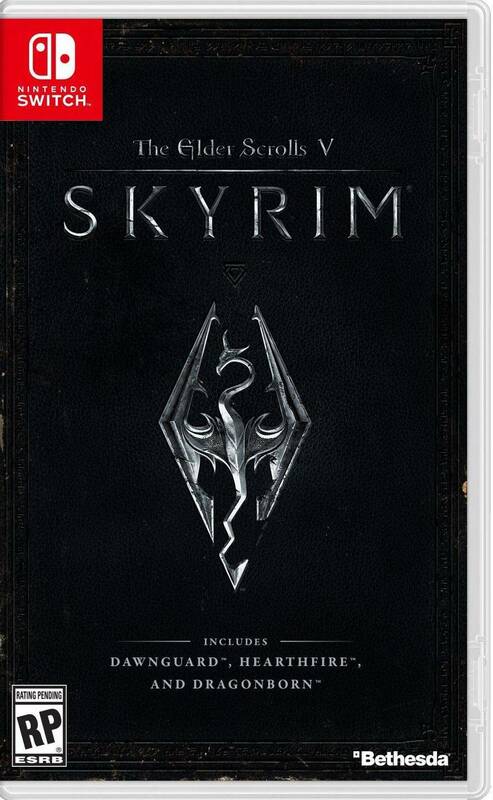 Before The Ages Of Man, Volume 1: In Dragonsreach Jarl's quarters in Whiterun.Before The Ages Of Man, Volume 2: In the four level room in Shroud Hearth Barrow.Incident At Necrom, Volume 1: In Pinemoon Cave.Incident At Necrom, Volume 2: In the locked room by the alchemy lab at Bloodlet Throne.Mystery Of Talara Part I, Volume 4: Near the Arcane Enchanter at Broken Fang Cave.Mystery Of Talara Part II, Volume 4: In Nepa's house in Markarth.Sun's Dawn Part I, Volume 2: In the inner sanctum in the Temple Of Dibella in Malkarth.Sun's Dawn Part II, Volume 2: Near the Hargraven's tent in Darklight Tower.The Black Arts On Trial, Volume 1: In Falkreath Jail.The Black Arts On Trial, Volume 2: In the White Phial store in Whiterun. Ice And Chitin, Volume 1: In the guard tower in Markarth.Ice And Chitin, Volume 2: In a room under the southern bridge of Windhelm.Jornibret's Last Dance, Volume 1: In Fort Neugard's library.Jornibret's Last Dance, Volume 2: In an Autumnwatch tower.Rislav The Rigtheous, Volume 1: In the training room at Fort Greymoor.Rislav The Rigtheous, Volume 2: In the training room at Cracked Tusk.The Rear Guard, Volume 1: In Castle Dour in Solitude.The Rear Guard, Volume 2: At the Druaddach Redoubt.The Refugees, Volume 1: In a small, nameless camp west of Helgen. To reach it, follow the path, and keep left.The Refugees, Volume 2: In the Smithy Of Solitude. Advances In Lockpicking, Volume 1: Inside Ragged Flagon's cistern at Riften.Advances In Lockpicking, Volume 2: During the escape from Riften's jail.Proper Lock Design, Volume 1: In Cidhna Mine in Markath.Proper Lock Design, Volume 2: In the shack above the ramparts at the top of Faldar's Tooth.Surfeit Of Thieves, Volume 1: In the wreck of the Winter War.Surfeit Of Thieves, Volume 2: In Mistveil Keep in Riften. It is next to Jarl Laila Law-Giver's end table.The Locked Room, Volume 1: At Highmoon Hall in Morthal.The Locked Room, Volume 2: In Animonculary's vault in Alftrand.The Wolf Queen Part I, Volume 1: In Dawnstar jail.The Wolf Queen Part II, Volume 1: Underneath the bar in Cragslane Cavern. Fire And Darkness, Volume 1: In Folgunthur.Fire And Darkness, Volume 2: In Esben's room in the Ratway Warrens in Riften.Mace Etiquette, Volume 1: In Orotheim.Mace Etiquette, Volume 2: In Fort Greenwall.Morning Star Part I, Volume 1: In Driftshade Refuge.Morning Star Part II, Volume 1: In Lost Echo Cave.Night Falls On Sentinel, Volume 1: In the Bandit camp northwest of Helgen.Night Falls On Sentinel, Volume 2: In Swindler's Den during a side quest.The Importance Of Where, Volume 1: In a Markath guard tower.The Importance Of Where, Volume 2: In Chillfurrow Farm.Warrior: In Driftshade Refuge. Aevar Stone Singer, Volume 1: In Thonnir's house in Morthal.Aevar Stone Singer, Volume 2: In the last jail cell in Lost Valkygg.Beggar, Volume 1: Near the Ratway, at the table in room with Kajiit Lowlife.Beggar, Volume 2: In Haelga's bunkhouse in Riften.Purloined Shadows, Volume 1: In Duskglow Crevice.Purloined Shadows, Volume 2: In Honorfall Orphanage in Riften.Thief, Volume 1: In Bleak Falls Temple, Swindler's Den.Thief, Volume 2: At the Argonian Assemblage in Windhelm.Wulfmare's Guide To Better Thieving, Volume 1: At the bottom of Fort Sunguard's oubliette.Wulfmare's Guide To Better Thieving, Volume 2: In Mara's Eye Pond. Mystery Of Talara Part I, Volume 2: In Eldergleam Sanctuary.Mystery Of Talara Part II, Volume 2: In Frostflow Lighthouse.Racial Phylogeny, Volume 1: At Moorside Inn in Morthal.Racial Phylogeny, Volume 2: At Corpselight Farm in Falkreath.Rain's Hand Part I, Volume 4: In Falion's house in Morthal.Rain's Hand Part II, Volume 4: In the Hall Of The Dead in Markath.The Exodus, Volume 1: In the Frozen Hearth in Winterhold.The Exodus, Volume 2: At Stendarr's Beacon.Withershins, Volume 1: At the end of Actwind Point.Withershins, Volume 2: In the Temple Of Kynarteh at Whiterun. Cherins' Heart, Volume 1: In Dawnstar's Quicksilver Mine.Cherins' Heart, Volume 2: In the forge room of Morvunskar.Heavy Armor Forging, Volume 1: In the Silent Moons Camp.Heavy Armor Forging, Volume 2: In Gloombound Mine.Light Armor Forging, Volume 1: In Lod's house in Falkreath.Light Armor Forging, Volume 2: In Embershard Mine, on the lower level of the larger area to the west.The Armorer's Challenge, Volume 1: Near the Smith's forge at Mor Khazgur.The Armorer's Challenge, Volume 2: On the Skyforge platform in Whiterun.The Last Scabbard Of Akrash, Volume 1: In Silver Hand Camp in Gallows Rock.The Last Scabbard Of Akrash, Volume 2: In the armory of Fort Sunguard. Last Seed Part I, Volume 8: In Redoran's Retreat.Last Seed Part II, Volume 8: In the room with Alain at Raldbthar.Legend Of Krately House, Volume 1: In the Black Briar Lodge.Legend Of Krately House, Volume 2: In the cellar at the Nightgate Inn.Sacred Witness, Volume 1: In an alchemy lab in Deepwood Vale.Sacred Witness, Volume 2: In Babette's room in The Dark Brotherhood Sanctuary.The Red Kitchen Reader, Volume 1: In the Frostmere Crypt.The Red Kitchen Reader, Volume 2: In New Gnisis Cornerclub in Windhelm.Three Thieves, Volume 1: In the room of Rattle's in Snow Veil Sanctum.Three Thieves, Volume 2: In Honningbrew Brewery's alchemy lab. A Dance In Fire Part I, Volume 6: In Meeko's Shack.A Dance In Fire Part II, Volume 6: In Dead Man's Drink tavern at Falkreath.A Dance In Fire Part I, Volume 7: In Arnleif And Sons Trading Company in Markath.A Dance In Fire Part II, Volume 7: In Beggars' Row in Riften.Biography Of The Wolf Queen, Volume 1: In the Blue Palace in Solitude.Biography Of The Wolf Queen, Volume 2: In Belthor's General Goods in Whiterun.Second Seed Part I, Volume 5: In Sorli's house in Stonehills.Second Seed Part II, Volume 5: In Sadri's Used Wares in Windhelm.The Buying Game, Volume 1: In Bards' College.The Buying Game, Volume 2: In the Shrine to Peyrite. Battle Of Sancre Tor, Volume 1: In Dustman's Cairn.Battle Of Sancre Tor, Volume 2: In Old Hroldan.King, Volume 1: In Bleakwind Bluff.King, Volume 2: In Penitus Oculatist Outpost at Dragon Bridge.Songs Of Hrormir, Volume 1: In Jorrvaskr Living Quarters.Songs Of Hrormir, Volume 2: In Jala's house in Solitude.The Legendary City Of Sancre Tor, Volume 1: In Ysgramor's Tomb.The Legendary City Of Sancre Tor, Volume 2: In Falkreath's barracks.Words And Philosophy, Volume 1: In the flooded cave of the Lost Knife Hideout.Words And Philosophy, Volume 2: In the Riften barracks.